Radius Books, 2013. 120 pp., 66 color illustrations, 11x12". Karel's photographs resonate with contentment and tongue-in-cheek humor, yet underlying many of them is the illusory nature of paradise. Depicting a manufactured dreamscape that oscillates between the real and imaginary worlds, these photographs testify to the intensity of our desire to experience our dreams. 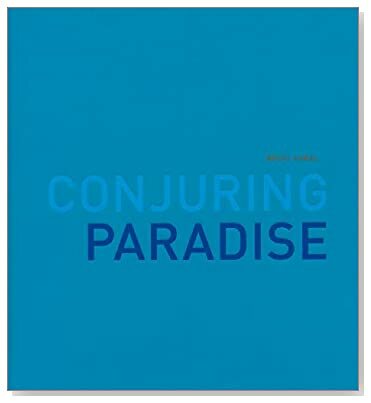 Karel's vision of 'paradise' is kaleidoscopic, like nature on steroids. Her view of space is ambiguous and often complex. Flattened and reduced to elegant planes of jellybean color, it is inhabited by throngs of visitors in search of that same sense of well-being. The people she pictures are relaxed in their own skins and revel in the sensuous pleasures of a sun-drenched destination resort. Betsy Karel first visited Waikiki in 2009 with her husband, who was dying of cancer. He loved the place and while there, the ravaging symptoms of his disease seemed to vanish. Waikiki was his paradise. His exuberant spirit and his wry sense of humor were in full bloom. She promised him she would try to capture the happiness he felt in a new series of photographs. The work in this book, which continued over the next four years, is dedicated to his memory.